Asbury Park Press broke the news earlier this week that the Tinton Falls ACME (former A&P Fresh) would close. ACME Spokeswoman Dana Ward commented "This store has not met company goals for a number of years and therefore the decision was made to deploy the team and resources to other locations to serve our customers," which is ironic, considering ACME closed their more than fourty-year-old store across the street to replace the store with the new A&P. 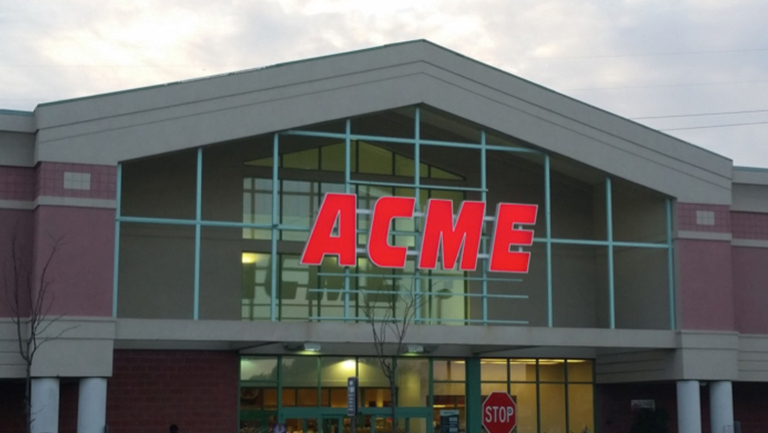 Obviously their master plan did not work, as local shoppers thought ACME left the town completely after they closed their Shrewsbury location in 2016. The former A&P was never renovated by Acme, and will leave the town with sticker-ridden Fresh 1.0 Canvas boxes. Other competition in Tinton Falls has gotten worse over the past year- ShopRite and Lidl have both opened over the fall, and Aldi remodeled and expanded their location. ACME, like many other retailers, cracked under the pressure. The store is slated to close by the 22nd. Earlier this year, ACME also closed their failing Gladwyne, PA location, also a former A&P store. For previous coverage of the Tinton Falls location, click here.